BEAUTIFUL 20-year-young Hicks-built colonial on a quiet, 3-home cul-de-sac in Westford is newly repainted & features many upscale features & easy access to major highways, shopping & restaurants. Recent upgrades: gorgeous kitchen w/wood-look tile floor, Stainless appliances, granite, recessed lighting, walk-in pantry. Cathedral Ceiling family room with Berber & a wood-burning FP w/ remote-controlled, high-efficiency gas insert. Formal dining room offers an oversized window w/ great views of the yard, crown molding and wainscoting. Second level features a stunning master suite w/ a cathedral ceiling, hardwood floors, separate HVAC zone, huge walk-in closet & a spa-like master bath w/ dual vanities, heated floor, BainUltra air jet soaking tub & a luxurious shower w/ multiple shower heads & massage jets. The second level also includes three bedrooms, a laundry room & finished bonus room over the garage. 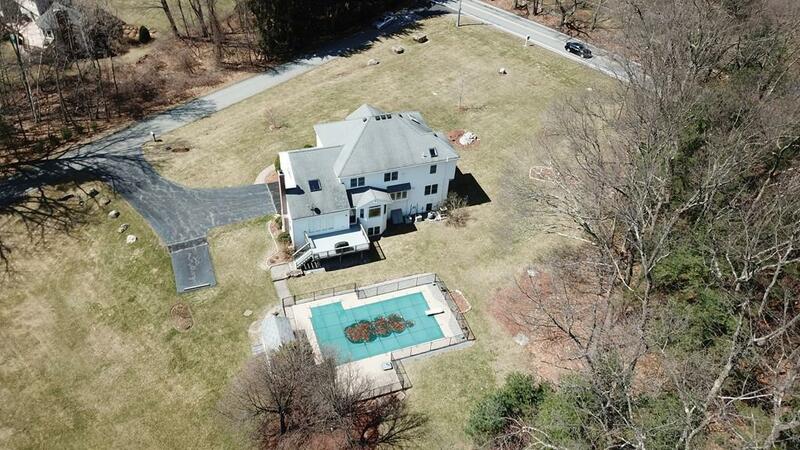 Large yet private yard w/inground pool.This incredible dream home wont last long. Listing courtesy of Rachel Kiley of Compass. Listing provided courtesy of Rachel Kiley of Compass.